You've found the “U.S. 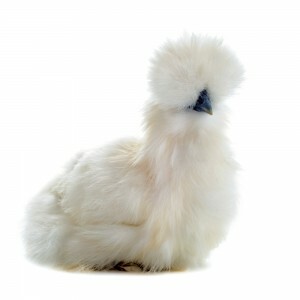 Silkie Chicken Breeders” page here at Hobby Farm Wisdom! If this is the first time you have visited our site: Welcome! Silkie is a breed of chicken originating out of ancient China. They were originally valued for the medicinal qualities but today are kept primarily as an ornamental bird or to incubate and raise the offspring of other breeds. Silkie chickens go broody more often than other breeds and are exceptional mothers. They have a very unique appearance with a fluffy plumage that feels like silk, hence its name. Other characteristics include blue earlobes, black skin and bones, and five toes on each foot. Silkie chickens have an extremely pleasant temperament and are one of the most docile breeds, making them ideal backyard chickens. However, this also causes them to be bullied frequently by more active birds in a mixed breed.